Nothing stands between you and your vision. 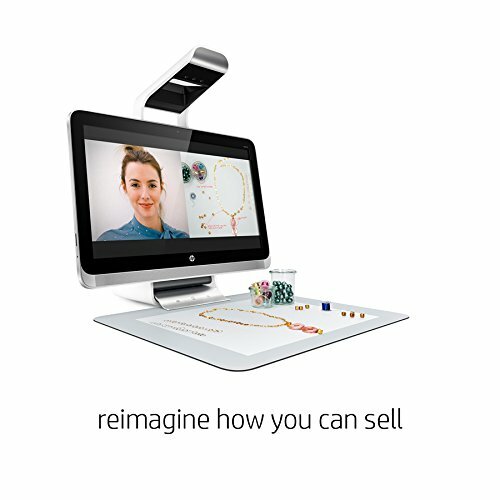 Sprout is a revolutionary All-In-One computer that makes it easier than ever to get creative. 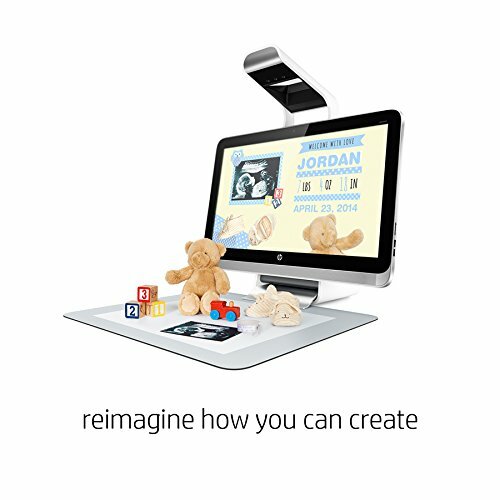 By blurring the line between physical and digital, Sprout lets you bring your creativity to life, instantly. 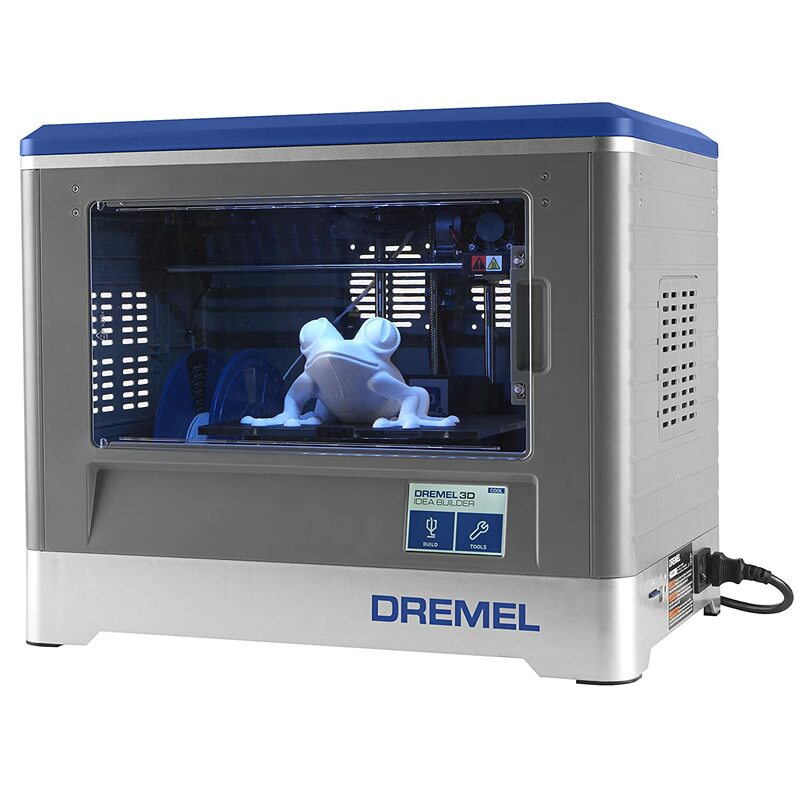 3D printing is an exciting technology that fosters an entirely new learning experience that encourages experimentation, critical thinking and problem solving to turn your ideas into tangible objects. 3D printing gives you the ability to design something uniquely your own through endless personalization and customization opportunities. 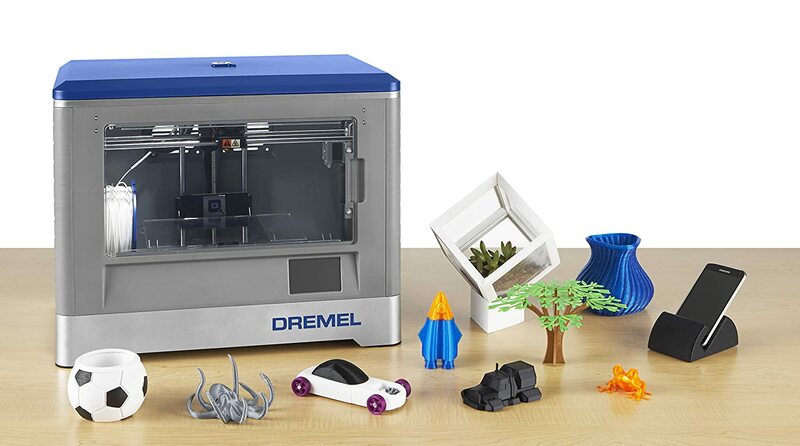 3D printing allows you to print individual pieces, components for bigger projects or even complex, moving objects. 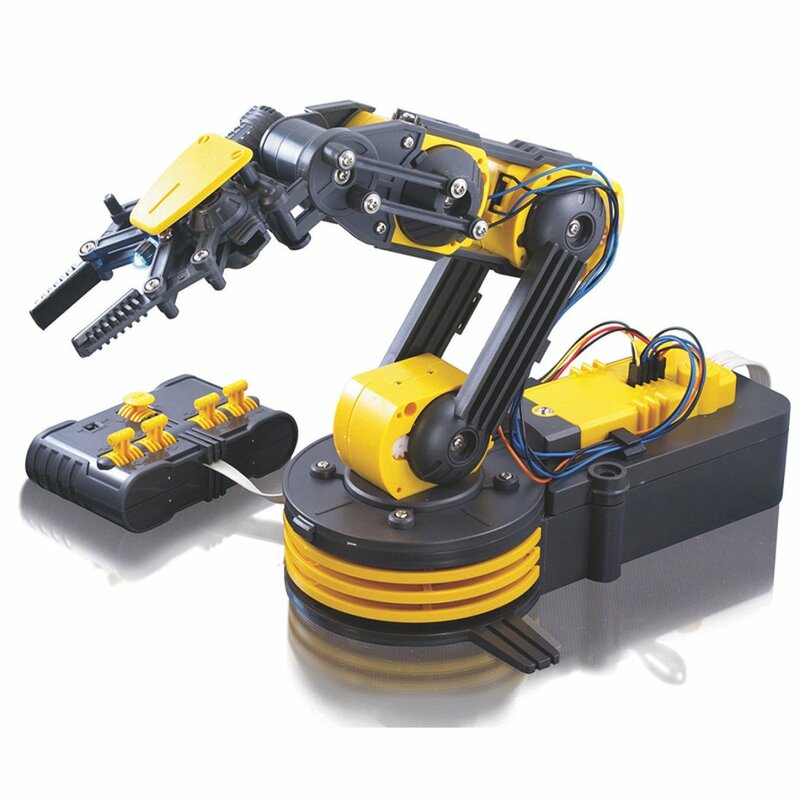 Command the robotic arm gripper to open and close, radial wrist motion of 120°, an extensive elbow range of motion of 300°, base rotation of 270°, base motion of 180°, vertical reach of 15 inches, horizontal reach of 12.6 inches and lifting capacity of 100g. Some of the added features include a search light design on the gripper and an audible safety gear indicator is included on all 5 gear boxes to prevent potential injury or gear breakage during operation. Total command and visual manipulation using the "5's", five-switch wired controller, 5 motors, 5 gear boxes, and 5 joints. 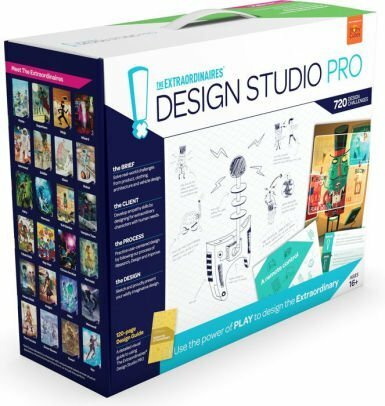 The Ozobot is a high-precision robot that can be programmed for action in a myriad of ways, and with this set of 2, you can draw or program entire worlds for your mini-bots to engage with. Using color patterns and simple associations, you can program the Ozobot to move, play and dance through intuitive color code patterns — simply grab a sheet of plain white paper and markers to start drawing lines and color code patterns for Ozobot to follow, navigate, explore or race. You can also download Ozobot’s free apps for iOS or Android and explore some of Ozobot’s social and competitive games. You can even test your abilities to choreograph custom dances with OzoGroove! Meet Sphero - the robot designed to inspire tomorrow’s inventors and innovators. Intelligent and well-rounded, Sphero lets you play, learn, and explore. 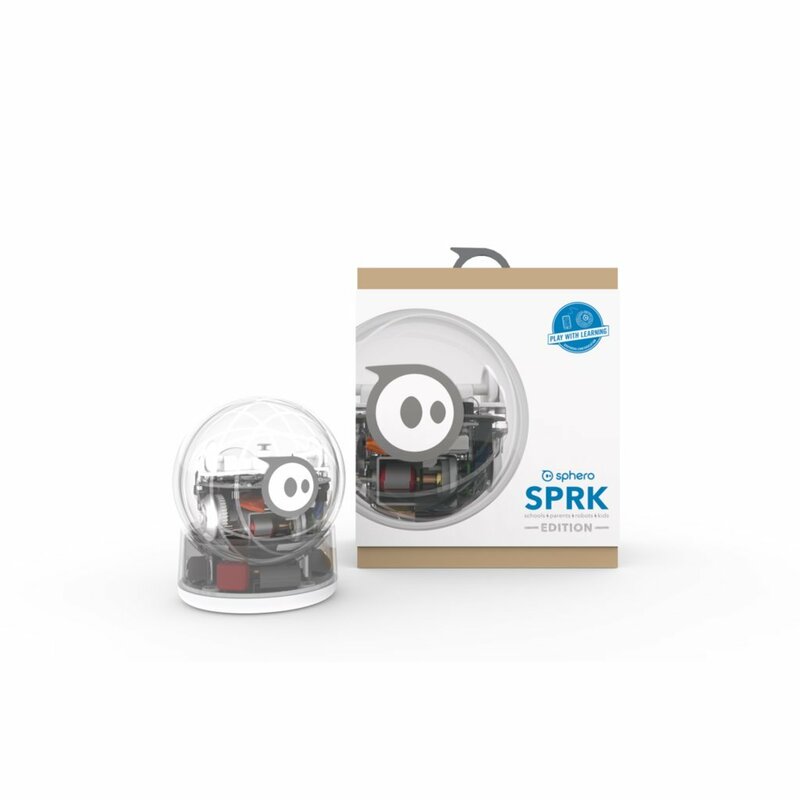 Create obstacle courses, upgrade game night with multiplayer fun, or learn to program with our free SPRK lessons. 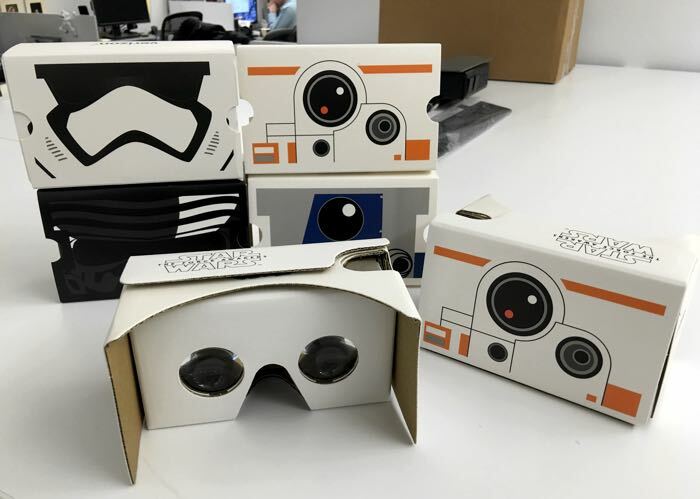 Bring virtual reality to life with Google Cardboard. Using your smartphone and VR apps, this quality viewer puts the world of virtual reality right in your hands. Discover thousands of VR apps and games, and a variety of captivating YouTube videos made to view with Cardboard. Travel the world, go onstage with your favorite artists, experience thrilling simulations, and more. 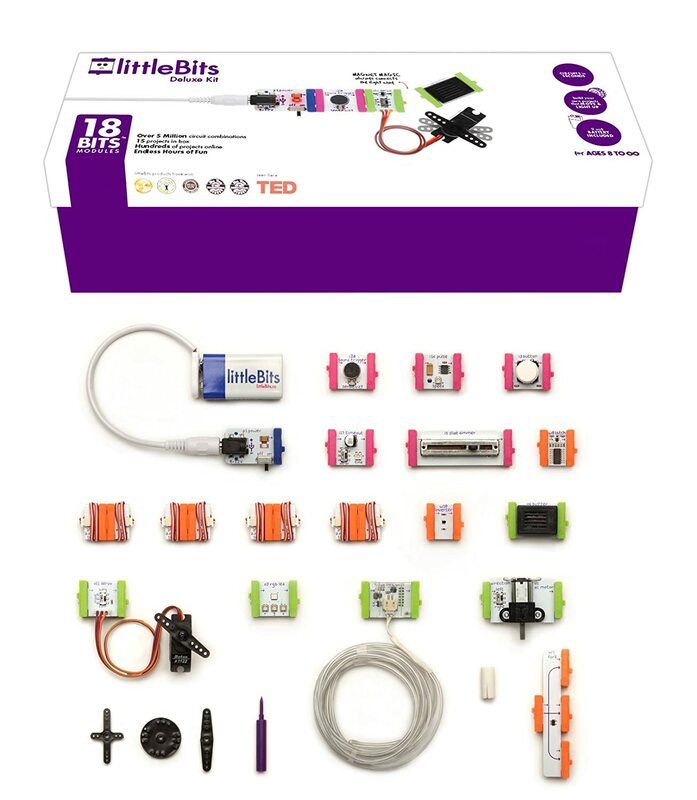 The littleBits Deluxe Kit offers the most creative inventing possibilities of any Kit! 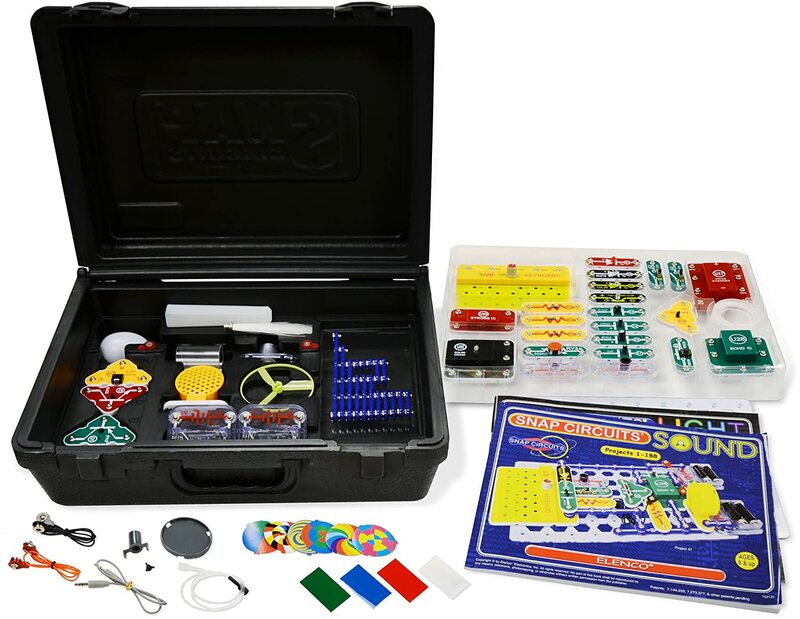 It has 18 color-coded Bits that snap together with magnets to make over 5 million simple and complex circuit combinations. The Deluxe Kit was designed for endless hours of fun and includes both the DC motor (with motorMate accessory) and servo motor (with servo accessories), a wide assortment of wire Bits like the fork, inverter and latch, as well as the timeout and light wire Bits. 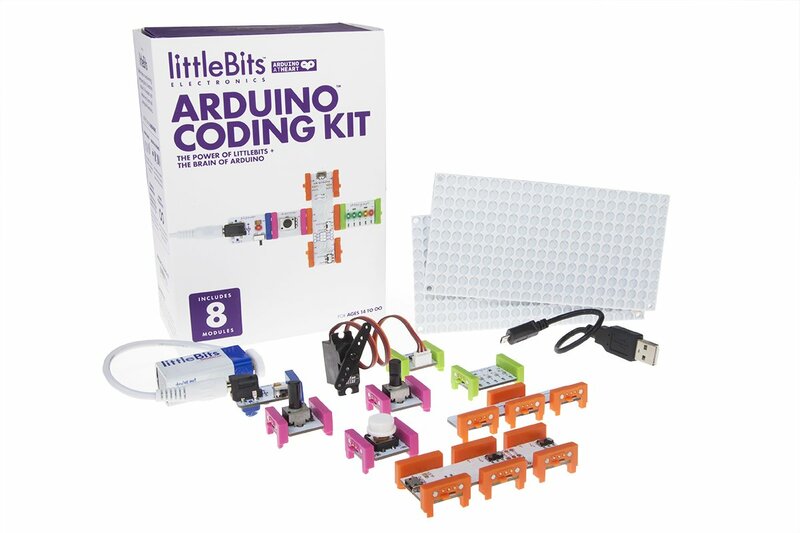 The Deluxe Kit is a well-stocked littleBits collection just by itself and includes everything you need to start designing and prototyping your own interactive creations. There is also an expansive project booklet with step-by-step instructions for 15 spectacular inventions like the Unihorn Helmet, and the famous Swimming Shark. Hack ordinary household items with the Touch Board Starter Kit! 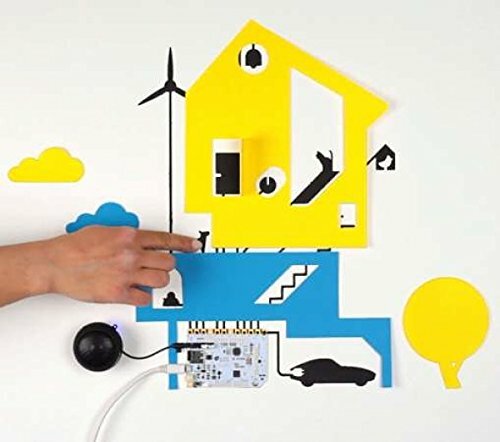 You can make a poster play music, give objects the ability to speak, or create hidden alarm sensors in your house with this kit. 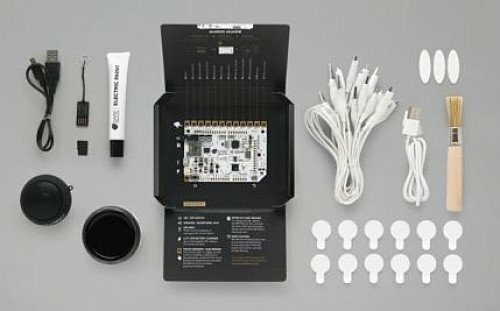 The kit comes with a Touch Board, Electric Paint, and everything you need to start transforming the world around you. No programming skills required! 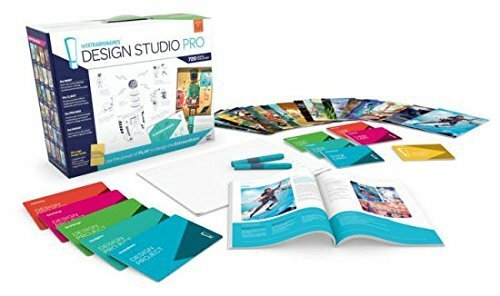 The Touch Board Starter Kit is ready right out of the box, so you can instantly get started creating any of its three featured projects right out of the box. The included Guidebook has step-by-step instructions and is packed with ideas, resources, and inspiration for you to build on. Bare Conductive?s Electric Paint is just like any other water-based paint, except that it's electrically conductive! This means that you can paint sensors directly onto most materials. When used alongside the Touch Board, an easy-to-use Arduino@Heart microcontroller, you have the ability to turn almost any material or surface into a sensor. Use the kit and some simple programming to create your own analog pong video game. The sketch can be downloaded at the littleBits site and will allow you to send two analog sensor values from the Arduino module to a Processing sketch that is running a version of the game Pong. The Pong paddle positions move based on the sensor values in this two player game. The science of nanotechnology deals with the smallest structures, in the range of one to 100 nanometers in size. That's as small as just a few atoms in a row (one atom corresponds to about one nanometer)! 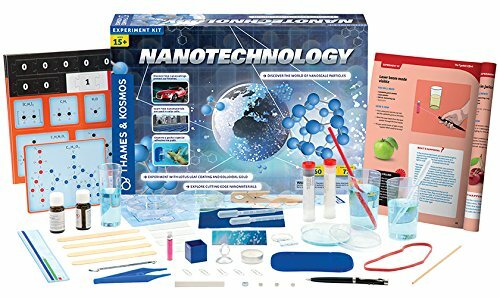 With this kit, the intangible, nanoscopic world becomes accessible with hands-on experiments using both scaled-up models and real nanomaterials. Nanoparticles can be made of different materials and exist in a wide variety of forms -thin layers, tubes, balls, and tree-like structures. These particles can be coated onto surfaces, they can enhance other materials such as paint, they can be used as a delivery method for pharmaceuticals in the body, and much more. Specific applications include, for example, self-cleaning house paints and water-repellent clothes, anti-fog coatings on glasses, UV protection components in sunscreen, antifouling coatings for ships (to prevent algae growth, thereby reducing fuel consumption), coatings for medical devices, and materials to more effectively filter dirty water. Start out by conducting experiments concerning size, scale, and orders of magnitude in the International System of Units, to get a feel for just how small a nanometer really is. Stir up some mixtures and suspensions, and then examine exotic mixtures to learn about the nanoscopic particles suspended in them. Shine a laser through a colloidal gold - a suspension of nanoscale particles of gold! Learn about the electromagnetic spectrum, laser light, electron microscopy, and atomic force microscopy to begin to grasp how we can make nanomaterials visible. Experiment with a special material that mimics the nanostructures on a gecko's footpads that allow it to climb straight up a vertical pane of glass with ease! 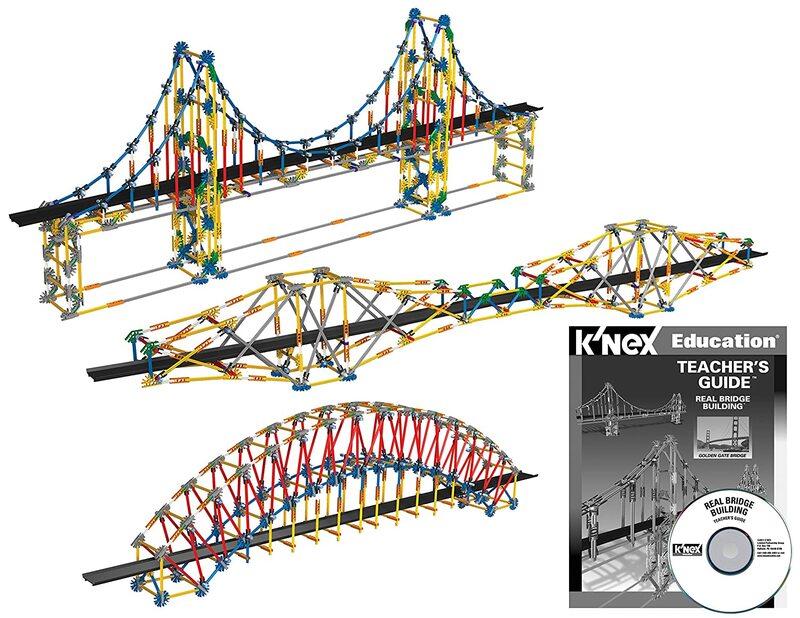 The Real Bridge Building set is designed to assist students in their study of the history, function, structural design, geometry and strength of bridges. They will also investigate concepts related to the physical properties of materials and their application in the placement, design, and construction of bridges. 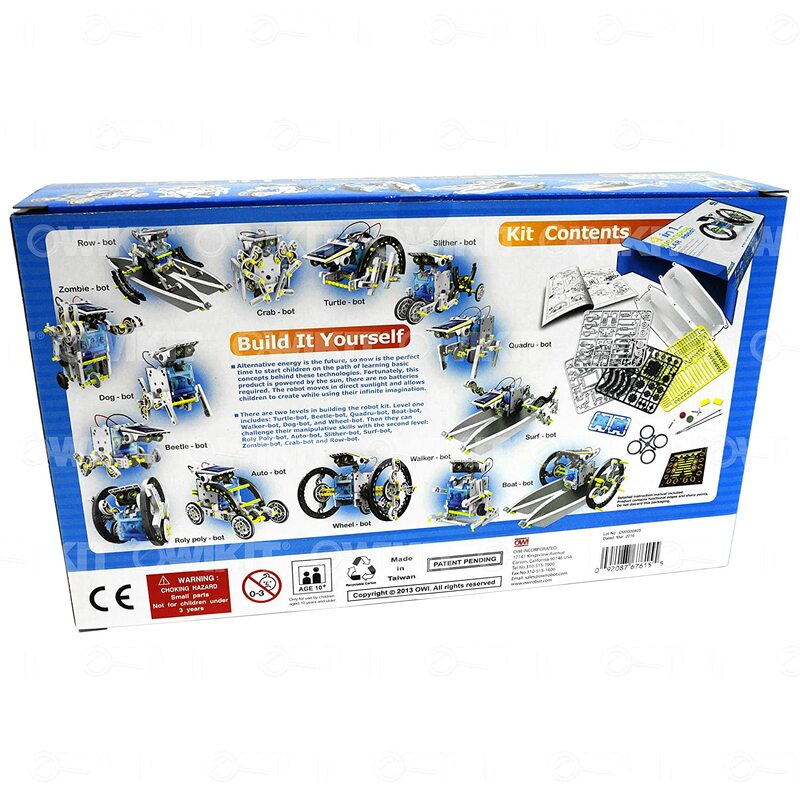 This K'NEX Education Set includes 2,304 K'NEX parts, building instructions, and a comprehensive Teacher's Guide CD. There's enough parts to build seven 5-6' long models, two at a time. The solar powered robot can be transformed into 14 different robot modes that include a multitude of comical and functional movements. Easily change from a wagging-tail dog - running beetle - walking crab - surfer - speedster - zombie chaser and more. The robot kit provides unique accessories and parts that make robot move on land or water or both. With alternative energy playing such a pivotal role, there is no better time than now to start children on the path to learning basic concepts behind these technologies. Fortunately, all the 14-in-1 robots are powered by the sun, so no batteries required. The robot moves in direct sunlight and allows children to create and use their infinite imagination. There are two levels in building robot version. Level One includes: Turtle-bot, Beetle-bot, Quadru-bot, Boat-bot, Walker-bot, Dog-bot and Wheel-bot. After children explore entry level designs, they can challenge their manipulative skills with Level Two projects: Roly Poly-bot, Auto-bot, Slither-bot, Surf-bot, Zombie-bot, Crab-bot and Row-bot. Additional features include: adjustable polarity on the solar panel to change direction of motor rotation, retractable robot head which can be quickly stored in the upper body, the robot head can be installed in the front, top or rear of the gearbox and transparent housing to see the movements of the gears. 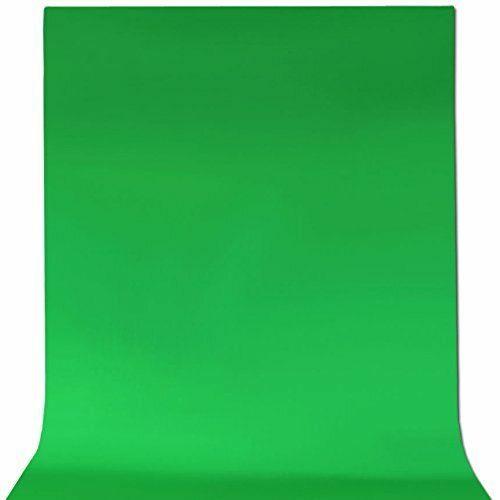 Film or take pictures in front of our new green screen and use a chroma-keying effect that will allow you to replace the green screen in your picture or video with any image.